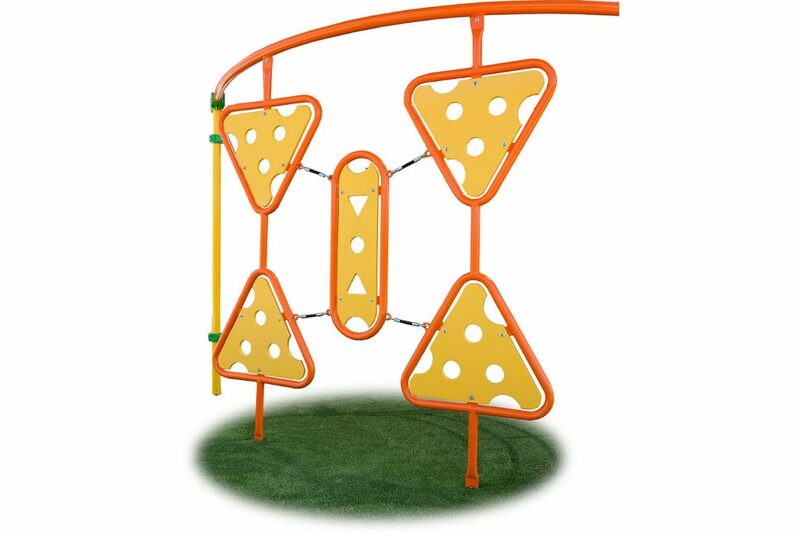 A fun vertical climbing wall with rock climbing grips and large cutouts for traversing both sides. 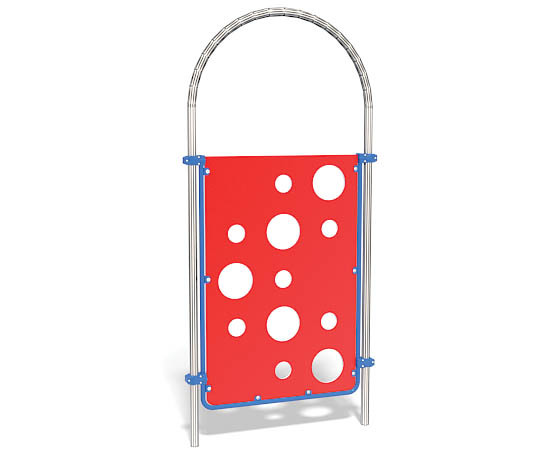 With lots of cutouts children can climb both sides of this vertical climbing wall. For added challenge children can climb up and over and then down the other side. 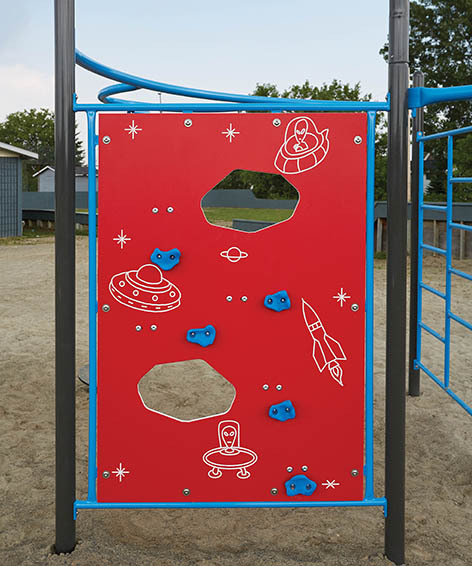 UFO and space themed climber provides a fun and challenging vertical climbing wall. 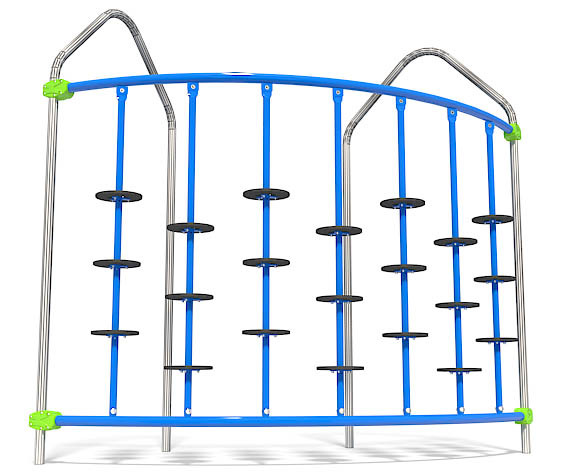 Side-by-side staggered climbing ladders are a winning combination for cooperative playground fun. Maintains open sight lines for ease of supervision. 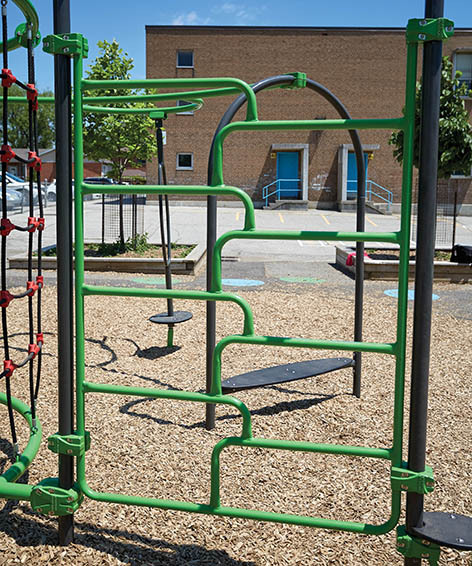 This curved cable climbing wall challenges children to climb up and over. Maintains open sight lines for ease of supervision. Two sets of Cosmic Strings on a long Bar 4 curvature. 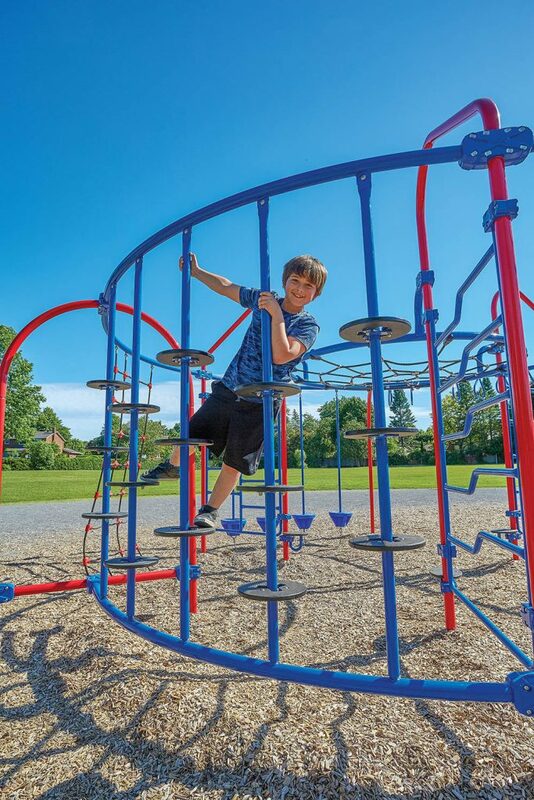 This curved cable climbing wall challenges children to climb up and over. Maintains open sight lines for ease of supervision. A challenging vertical climbing event with moving components. 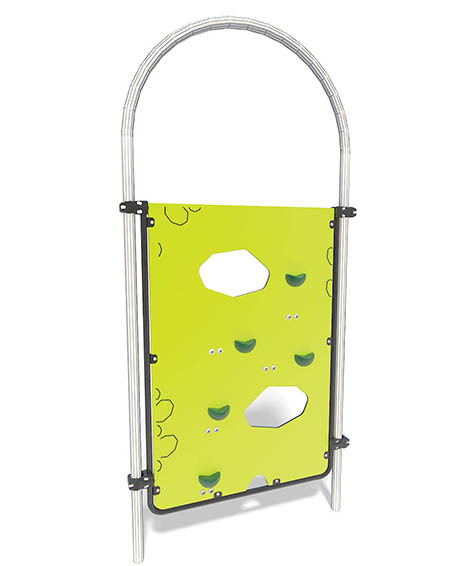 A great way for children to develop their climbing skills in a fun way. 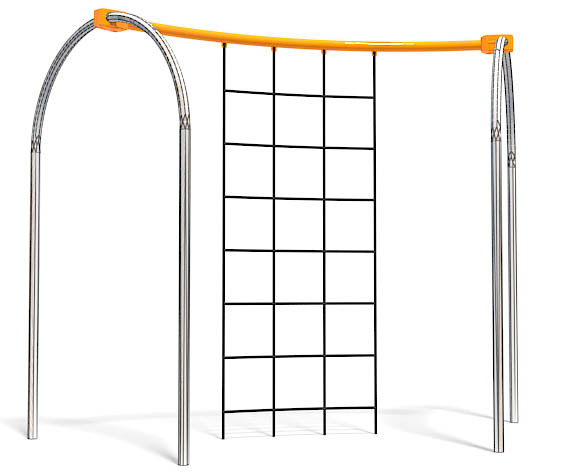 This curved climber is always a popular activity for multiple children. 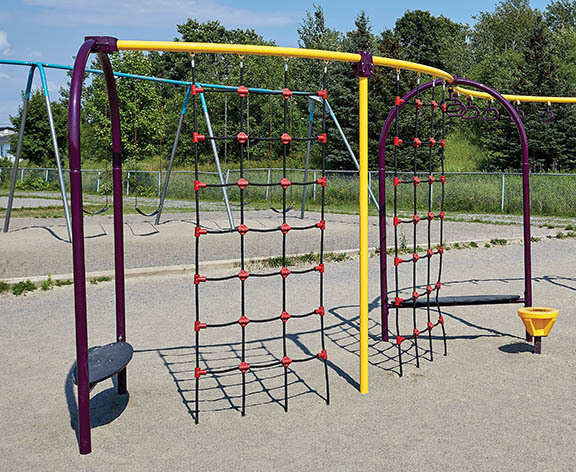 Steel rails feature staggered non-skid plastic pods. Open sight lines are maintained for ease of supervision. The medium size intergalactic Pod Climber that provides a fun challenging pod climbing event.